Elissa Altman started her food blog, Poor Man's Feast, in 2008 after years as a cookbook editor, food columnist, personal chef, and caterer. In 2012, she won the James Beard award for Best Individual Blog (and was also nominated in 2011), and the blog was also included in the well-known Best Food Writing in both 2011 and 2012. Elissa published her first cookbook, Big Food, in 2005. Her most recent book, Poor Man's Feast: A Love Story, just came out earlier this month. Elissa will be in Minnesota next week for a reading from Poor Man's Feast at Cooks of Crocus Hill in Edina. The event is Wednesday, March 27th from 6 - 7:30 pm, and you can preregister here. Elissa was kind enough to answer some questions for us about her writing process, her favorite food writers, and advice for bloggers and writers just starting out. How did you decide to start your blog, Poor Man's Feast, back in 2008? I had just come off many years as a food writer for magazines, a stint as a restaurant critic, and a frequent food radio guest host, and I realized that there was very little public discourse about food as sustenance; instead, our public discussion about food was tied to food as fuel, food as health, food as entertainment. 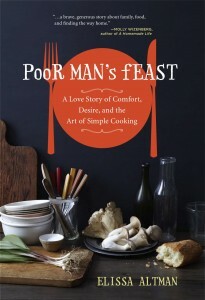 So when I started Poor Man's Feast in 2008, it was my goal to create a narrative about the way we feed ourselves and others in our homes, in our lives, in our collective past. I wanted to talk about simple food as the thing that brings us together as people, rather than divides us. You've been a cookbook editor, a columnist, a personal chef, and a caterer. How does blogging compare to your previous food careers? It's very gratifying; for one thing, it provides an almost instantaneous connection to the public. For another, my readers can tell me what they like, what they expect, what they want with great immediacy. They keep me engaged and connected, and I've learned more about food and the way we eat in this country than I did when I was doing any of those other jobs. I'm still a cookbook editor, though, and I love that job because, quite simply, I adore the art and practice of making books. I'm a total bibliophile; it's an embarrassing addiction. Do you think your writing or the blog has evolved over the past five years? How so? Gosh, I certainly hope so. When I started writing the blog, it tended to be very sly and sometimes even a bit attitudinal, and back then, that was okay. But what I think has happened --- at least what my readers have told me has happened --- is that it's become far more narratively driven instead of recipe driven; I'm telling more stories that revolve explicitly around food and family and life. Today I seem to be writing a lot more about what it means to be living and cooking in 2013 America while holding down a job (or three), commuting, finding a few more gray hairs in the morning, but always thinking about what's cooking at the end of the day. How was working on the book different than working on the blog? Were there any specific challenges to writing a book that you don't encounter on the blog? Because my blog is narratively driven, when I sit down to write it I often don't know where I'm going to wind up (and consequently, I have a lot of bits and pieces of things in my drafts folder that have never come to fruition). The book, which took 16 months or so to write, was also an evolutionary process involving the recesses of my memory and often stark realizations that I grew up thinking of food the way I did because of my parents' polar opposite relationships with it. Once I started writing though and I really became entrenched in the process and the story, the book essentially wrote itself. I like to think, though, that my dear father, who I lost in 2002, was sitting on my shoulder, guiding me through the dark. He was a night fighter pilot in the Second World War, so that kind of makes sense. Who are some of your favorite food writers? Favorite food blogs? There are so many folks whose work means so much to me: Laurie Colwin, MFK Fisher, John Thorne, Jim Harrison are my absolute favorites. The blogging world continues to just astound me--there's so much talent out there. But I find myself coming back over and over again to Sarah Searle (Yellow House) and Molly Wizenberg (Orangette) because I love longer-form narrative; they may be food writers, but they're also just really wonderful writers in the broader sense. Do you have any advice for someone thinking about starting a food blog or getting into food writing? Read. Read everything you can get your hands on, and then read some more. Be generous with others and with yourself. And enjoy the process! Note: Cooks of Crocus Hill is one of SGT's sponsors. 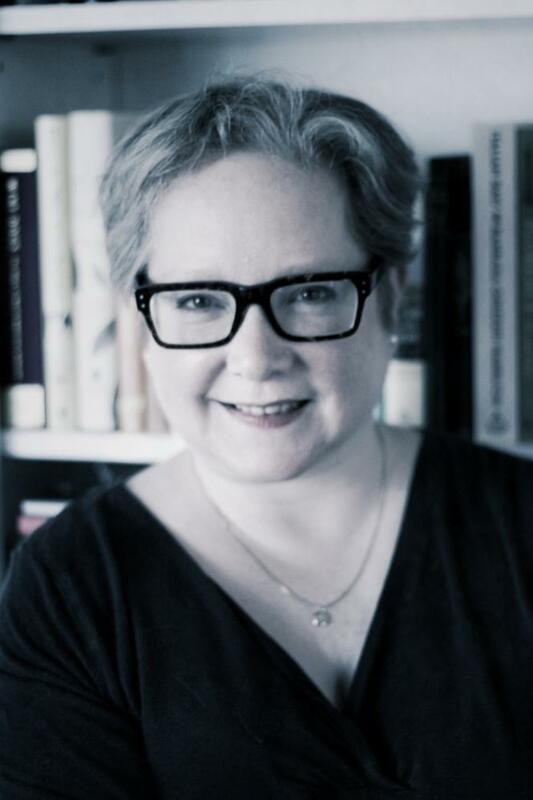 Claire Stanford is a writer and editor at Simple, Good, and Tasty. She last wrote the SGT Book Club Recap: Wendell Berry's Bringing it to the Table. She can be reached at claire@simplegoodandtasty.com. Follow her at @clairemiye.